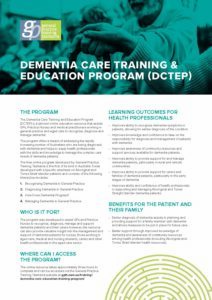 General Practice Training Tasmania’s Dementia Care Training and Education Program (DCTEP) is a free online tailored education resource providing awareness, diagnosis, management and support of patients with dementia and their carers, in general practice (with a specific emphasis on Aboriginal and Torres Strait Islander peoples). This innovative Australian-first dementia care online resource was developed in Tasmania and launched in Hobart in March 2018 by Federal Aged Care Minister Ken Wyatt AM MP. 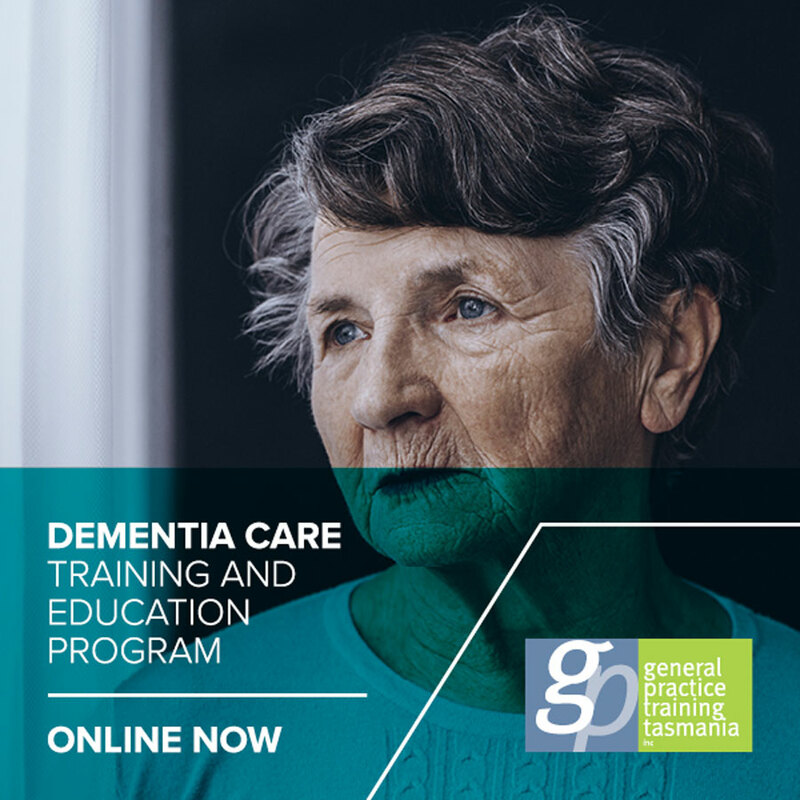 This free interactive online resource aims to provide high quality education and training in Dementia for GPs, Practice Nurses and medical practitioners working in general practice and aged care. 3. How does Dementia Progress ? Can benefit from the earlier diagnosis of dementia, assisting them to plan with, and provide support for, a family member with dementia and to put in place options needed for future care. Can be better supported through improved health professional knowledge of community resources (including Aboriginal and Torres Strait Islander health resources). Can benefit from being able to better recognise dementia symptoms and to provide support in the management of patients, particularly in rural and remote communities. This short video is taken from DCTEP and highlights how Dementia progresses. There is no better time to get educated about a disease that is affecting so many Australians and their families. Access the program at the end of this article. ‘Early diagnosis will make a big difference in the care of patients and carers – this training was a game changer for me and I can now offer better care for my patients and their families’. To access the DCTEP training module, please fill in your details below. Send me updates about training and education that become available.